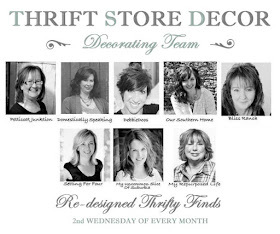 Welcome to Thrift Store Decor for May where once a month a gaggle of us awesome chicks take a thrifty find and give it a makeover. 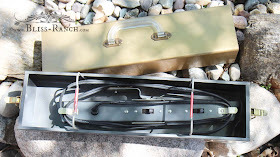 For May I'm going to makeover this carrying case to something useful I can use around here. The links to the other participants are at the bottom. 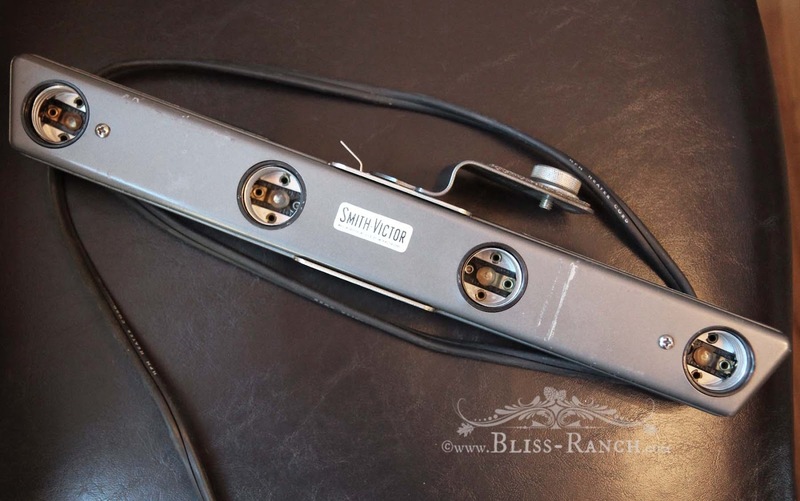 I spotted this Smith Victor long metal box, size 17x6x4, at a garage sale last week. Inside was a treasure, and the man told me that "it works" so I slapped down the price on his sticker of one dollar. I let the contents determine the vein in which I would re-purpose this gem. First up was to spray paint the pitted brass hardware a simple silver shade. 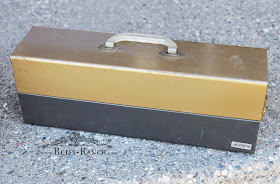 The colors on the metal box part were acceptable, and had I known before painting it that with some sanding I could bring it right down to the shiny silver bare metal, I might have done that. Instead I gave the box a coat of Fusion Mineral Paint in Limestone as the base for the lettering, leaving a metal band of the original showing. The top half of the box received some Matthew Mead Metallic bronze also from Fusion, and I was surprised at how nice it blended with the original metal color. I know I have mentioned before how fun the metallic line is to paint with, but it's worth repeating........ I love working with these paints. 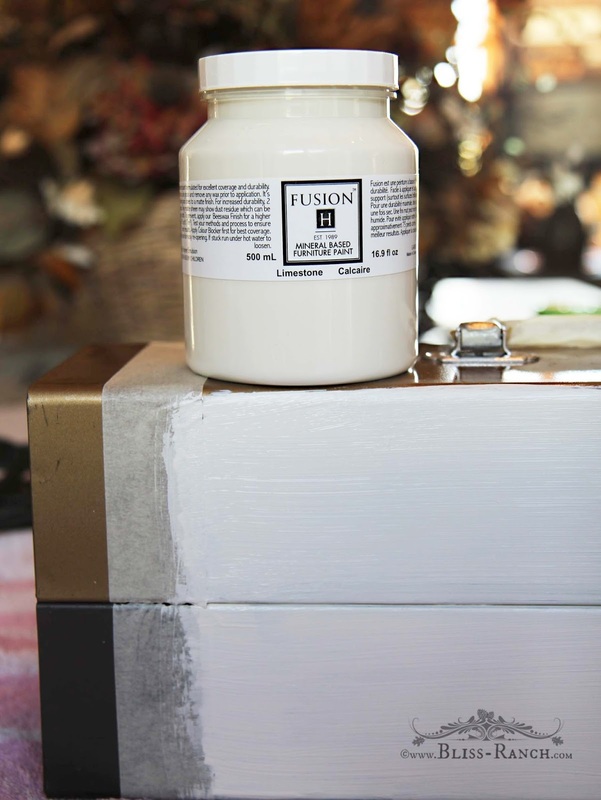 Thank you to Fusion Mineral Paints for supplying them for me. 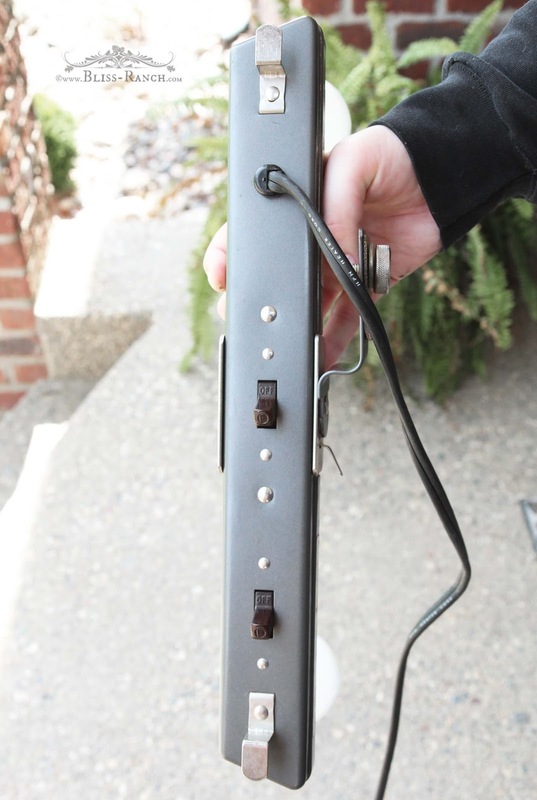 This is a vintage photo light bar. The little round knob at the top fastens it to a tripod and it would hold four reflector bulbs for studio lighting back in the day. On the back side the lights can be turned on and off two at a time. Apparently it should also have a small handle, but that was missing. I put some regular bulbs in to double check what the man told me, and sure thing - it works - so I may try it out for shitzngiggles. But the box it came in was the treasure for me. It sits on a shelf in a pine hutch that displays family photos. When you were little did you ever tell someone who was staring at you to "take a picture it lasts longer" ? I'm sure I did, but I didn't know how true that statement was at the time. 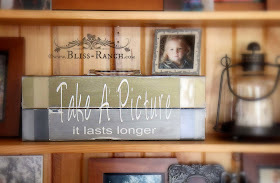 The painted metal box now holds the photo contents from an old cardboard box that belonged to my mom. She worked at a hospital, so sometimes her saved boxes didn't originally hold shoes. Now tell me...... how many of you have sat around the kitchen table thumbing through old photos that came out of an umbilical cord-clamp box? As you know I don't do the monthly Thrift Store Decor all alone, so make sure to check in with the other ladies to see if they have an umbilical cord-clamp box in their post. 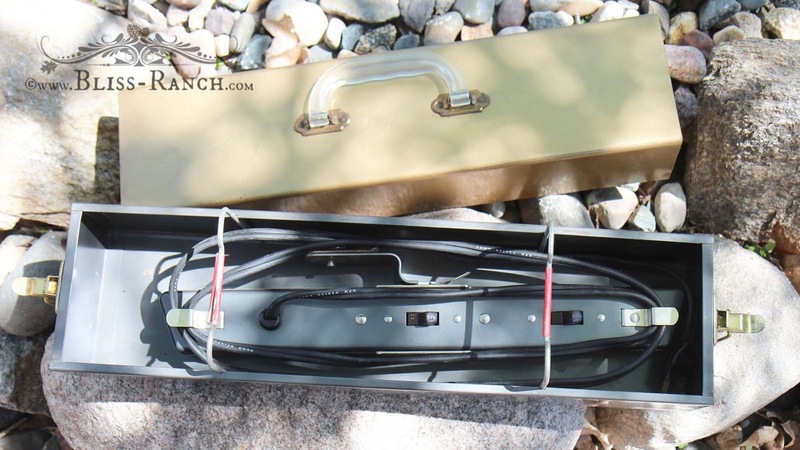 I think you might be the only one with the umbilical cord clamp box. I love how the light box turned out. I was just going through some old pics my mom gave me. They are in a boring plastic tub! My mom had one of those light bars back in the day. 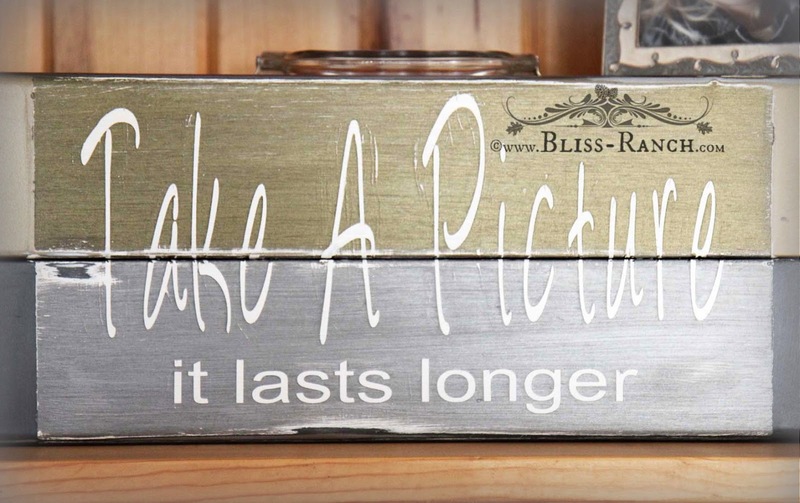 your metal box turned out super cute Bliss. You find the most unique goodies... love the transformation! It came out great Bliss! 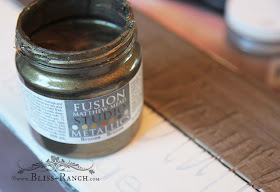 Love the bronze Fusion paint! 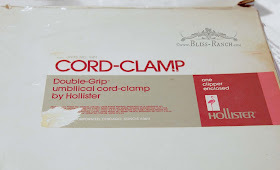 I don't remember much...but I DO know that I never saw an umbilical cord box in my house. Your box is way cute. I'm confused what a light bar is though, and where the light bulbs go. 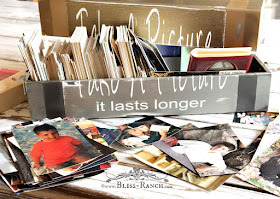 I'm such a disorganized slob that all my printed photos are thrown higgledy-piggledy in 3 huge rubbermaid containers. Not even remotely as cute as your light bar box. 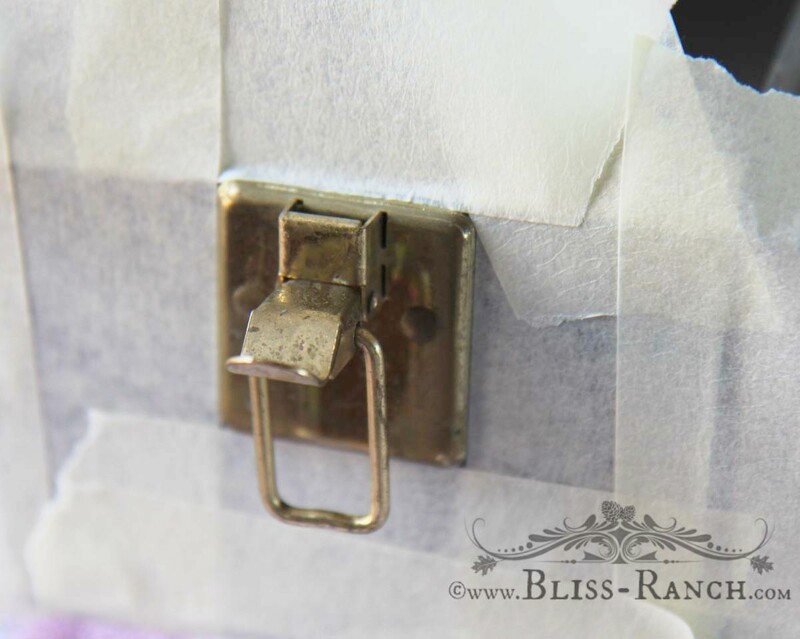 And certainly not as cute as your umbilical cord clamp box. I'm pretty sure there was no cord clamp box at our house but I love that those photos have a new home in your box. You can bet I said that line a few hundred times when I was a kid- especially to my brothers. Although it makes me think of Pee Wee now. Ha Ha! I am afraid you might just be the only one to have one of those boxes at your house! Too funny. Now the one you made over looks great! I like the idea of putting the phrase on it for whimsy. Yes, I do remember saying that to someone when I was a teenager, I'm sure! So, Bliss, what are you going to do with the light bar? I think imma-gonna try it out! Doesn't everyone have a cord-clamp box? They should! Love your updated box, it's perfect for holding family memories!!! I think you found the perfect use for it. 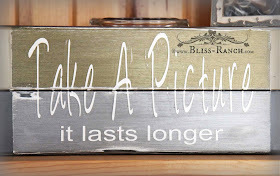 There's nothing like good old fashioned pictures on paper. I bet you like that you pull the box down whenever you want to go through them.